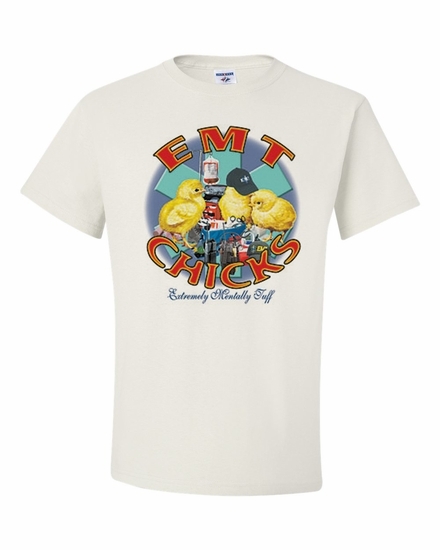 Our EMT Chicks-Extremely Mentally Tuff t-shirts and sweatshirts are a great way to show your appreciation for these dedicated men and women. Choose an EMT Chicks-Extremely Mentally Tuff coffee mug, and you'll have the perfect gift. Remember� you found the EMT Chicks-Extremely Mentally Tuff Shirts at TShirtHub.com, where high quality came at a low price.